This is a high quality 5V USB charger wall wart. Ideal for supplying power to your Arduino when there is no computer near by. It can be used as Arduino power or chager for any USB device such as Mobile Phones, Iphone, Ipad and Tablet.These will power most projects that don't require more than 1A of current. 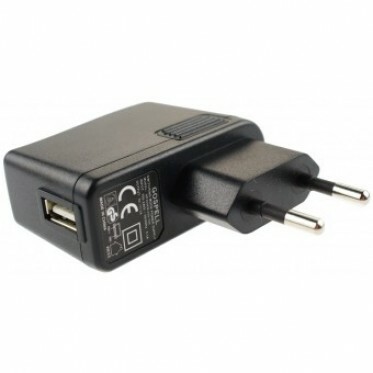 This adapter has been quality tested and provides a stable 5V without fluctuation. Notice: This adapter works with 100-240VAC inputs.